The third cohort of professionals completed Strengthen ND’s Nonprofit Certificate Program March 6. 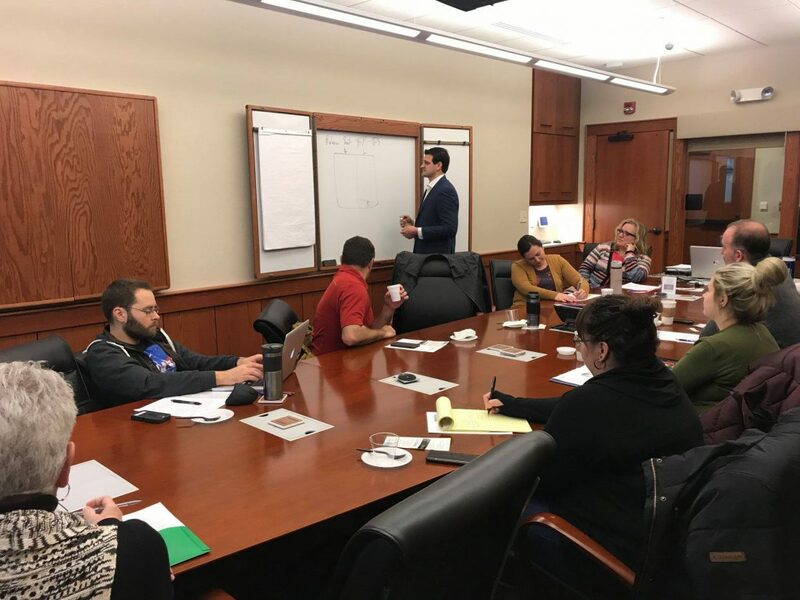 The Nonprofit Certificate Program was created in 2016 when Strengthen ND and Minot State University’s Center for Extended Learning worked together to create an educational track to meet the capacity building needs of area nonprofit professionals and volunteers. Strengthen ND and Minot State leveraged the expertise of professionals within the area to facilitate program sessions featuring topics of nonprofit management, including board governance, finance, human resources, grantseeking and grant writing, marketing and public relations, fundraising, strategic planning and action planning. The participants receiving their certificates were Greg Vettel (Northwest Arts Center), Connie Wilson (Souris Basin Planning Council), Lexi Bahl (ND State Fair Foundation), Brandi Jude (Invisible Innocence), Shelly Bohl (Community Grant Writer), Tim Knutson (Dakota Hope Clinic), Tammy Hammer (New Town) and Paul Stroklund (Minot State University).